December 2018 - The TVCC extends a very warm welcome to Lord Lloyd Webber, who has very kindly agreed to accept the honorary role of President. December 2018 - Issue 58 of VanCatChat, the magazine of the TVCC, has been sent out to all our members. 6th October 2018 - TVCC Show Best in Show was won by Tansdale Cool-As-Ice, a Turkish Vankedisi female owned by Suzann Lloyd. 20th May 2018 - The TVCC held its annual AGM at Hartwell Community Centre, Hartwell, Northants. The TVCC would like to thank its members for their continuing support, without whom we would have no club and would be unable to support this very special breed of cat. We also welcome new members. Join us now by completing our Online Application Form. Welcome to the Turkish Van Cat Club. The UK's original Club dedicated to Turkish Cats. Established 1983. The Turkish Van Cat Club is run by a Committee of enthusiastic breeders and owners of Turkish Van Cats, who between them have many years of experience with this wonderful breed. 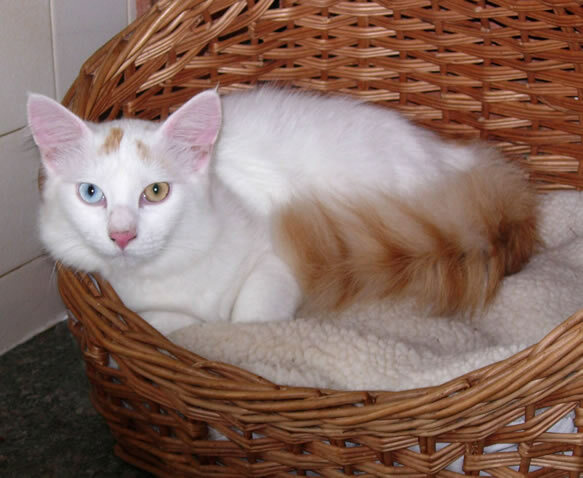 The club is committed to the promotion and welfare of Turkish Van & Vankedisi cats, and offers support and advice to all its members in matters such as health, exhibiting, grooming, and of course purchasing Turkish cats. The club holds an annual show where owners, breeders, and exhibitors can meet up to catch up on the latest news, gain advice, or just see the top show cats on full display. The show also includes a section for pedigree pets and household pets, so anyone can enter! If you're a Turkish Van fan, then join us!